Last year approximately 1.23 billion users actively logged into Facebook every month. Furthermore, about 556 million users access this site daily via smartphones and tablets. As I get myself more and more involved in blogging, I notice that most authors have Facebook pages. The impressive statistics on Facebook are solid reasons for authors to communicate with fans and potential readers via Facebook. Why does an author create a Facebook page when s/he already has a website? With Facebook page, fans do not need to keep visiting website to get updates on the author’s works. When a fan likes an author’s Facebook page, all the latest news would appear on his/her News Feed. Facebook page is about a community: it gives an author a place to talk to and get feedback from their fans. The more active and friendly an author becomes the closer relationship s/he will have with fans. Check out Dan Brown’s Facebook page. His picture with Mark Twain is liked by more than 2,600 people? Impressive! A couple of weeks ago, Romance Festival 2014 organised many Q & A sessions with authors, book cover designers, blogger and publishers. One of the guest authors was Samantha Young, a New York Times bestseller. Due to big time difference between USA and Malaysia, I wasn’t able to join the session. It’s a good thing that the the Q & A is still there. I could read it at my leisure. Using Facebook page to conduct a Q & A session benefits the readers too. It is much easier to locate post and read it, unlike Twitter (the messy order of tweets in a Twitter chat confuses me at times). Facebook is the most popular social media in the world. If you are a public figure, then you ought to consider creating a Facebook fan page. Don’t know how to start? Go to this link for tips. ps: This is a serial of blog posts about communication method between author and readers. Read other posts on Twitter and Pinterest. I would like to share with you some parts of the Q & A session. Texts written in bold are questions/thoughts from the participants. Do you read the books which you design covers for? As a rule, absolutely – I think you owe it to the author. there are times when rewind it is a bad idea, you can get too close to it, but I would say the former is better. Briefs from my clients can fall short of what you need as a designer, I’ve never found the perfect one, a lot of them think its just ok to paste cover blurb into an email which is just lazy. Are there stages when creating a book cover? Sure, it starts with reading it and being briefed by a client, you submit rough covers to them which are then tweaked until everyone has a cover they’re happy with, and then you prepare it for print or its online outing. That’s a huge simplification, but generally covers it. It can also be a very complicated process, or a very simple one. Overall I think its best to let designers do their thing, that’s what their expertise is. The trick is choosing the right one for your book. How long does that take? Also how long does it take you to create a cover? Getting the right cover can take a day or a year! I once worked on one that took three years and still wasn’t right in my opinion (long story), but generally a month is a good rule of thumb. It should not be rushed. How do you know when a cover is right? What cover(s) are you most proud of? That’s a difficult one, I’m proud of them all in different ways. Recently, my work on Iain Banks has been the most rewarding. How do you decide on a cover whether title, author name or image is the most important factor? It’s a mix of factors, it depends on an author’s track record, whether they’re new or established, but I would say overall that if an author is a good name with rising popularity, then we focus on that. Sometimes a quote can be the most important point of focus on a cover. Are there current cover design trends that are phasing out or overdone? It’s like flares coming back in fashion, each trend has a cycle in my experience and can come back any time. Good design can be about nodding to what’s gone before or blazing a trail – depends on the situation. In women’s fiction, there are still amazing examples of illustration, I was commissioning women’s fiction illustration form artists still working in this area now, when I started in 2001. 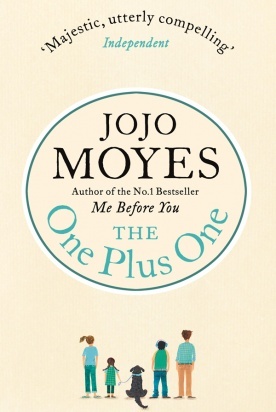 I would say that you need to be aware of the commotion but not ape it, if you look at the latest Jojo Moyes from Penguin, it straddles all of the trends for me – strong central type motif where you can still read the author at scale, a touch of illustration but kept simple, feminine but not teenage/pink colour palette. Dare I say it, I would read that one. A publisher will go for the majority in their market, so if the provocative images sell to more people than not, that’s what they’ll go for. You raise a very interesting question though. I think its impossible to create one global cover that would appeal to every market, but publishers have an obligation to listen to readers. The take-away point from the session: book cover design is a key element of book production. There are many people involved in the process – designer, author and publisher – and they should all work together to get a cover everyone’s happy with. If you would like to read the full Q & A session, look for this post on the Romance Festival 2014 Facebook page . The organising committee of Romance Festival 2014 has listed their top 100 romance books of all time. You could complete the survey here but in case the survey is closed, click on the image below. I agree with most of the entries although I think some titles are in the list because of their popularity. There are books that should and shouldn’t be in the 100 Greatest Romances of All Time list. I was quite surprised that ‘The Perks of Being a Wallflower’ by Stephen Chbosky was in the list. In my humble opinion, the story had a different focus: identity development during adolescence. The book is about how Charlie finds his place in the world. His infatuation with Sam is a side story. I don’t think the book has enough romantic content to be in the survey. One important book was snubbed: ‘Love in the Time of Cholera’ by the late Gabriel Garcí­a Márquez. The story is about enduring love; Florentino and Fermina went through so many life challenges and the only time they got together at the end of the book. I read this book in 2007 so I quickly checked Goodreads reviews. Perhaps this book did not make into the list because it takes awhile to warm up to their love story. I was dismayed that ‘Paradise’ by Judith McNaught not in the list. 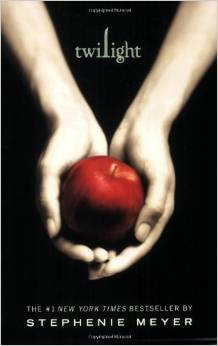 It is one of my favourite books and I always re-read whenever I am bored. In most romance stories, a conflict between hero and heroine arises because of miscommunication. This element works here because people used snail mails, landline telephones and telegrams for communication in 80s and early ’90s. ‘Paradise’ is about “love conquers all” and I believe it is one of the 100 greatest romances of all times. Do you agree or disagree with my views? Are your favourite romance books missing from the survey too? Share your views below. Are you a fan of romance books? Romance Festival 2014 is going digital this weekend. There are so many authors involved, from established names such as Eloisa James and Susan Elizabeth Phillips to upcoming writers for example JA Redmerski. If you’d like to virtually meet your favourite author(s) and other fans, sign up here! Those who have signed up will be given an e-ticket (immediately) and a programme (which will be released tomorrow). Based on the tentative programme, I look forward to writing tips and social media sessions with authors. I’ve tweeted to my favourite authors but I have never interacted via Google Hangout. I’d like to try it if I am available. I look forward to the festival. I hope to be able to share my experience in my next posts. We are delighted to announce the full line-up as it currently stands for Saturday and Sunday’s Romance Festival!